Sheila was born in 1939 in a bungalow called ” Sunny Patch ” in Basildon Road east of St. Nicholas Church in Laindon and these are her memories and a little of the history of her family members. 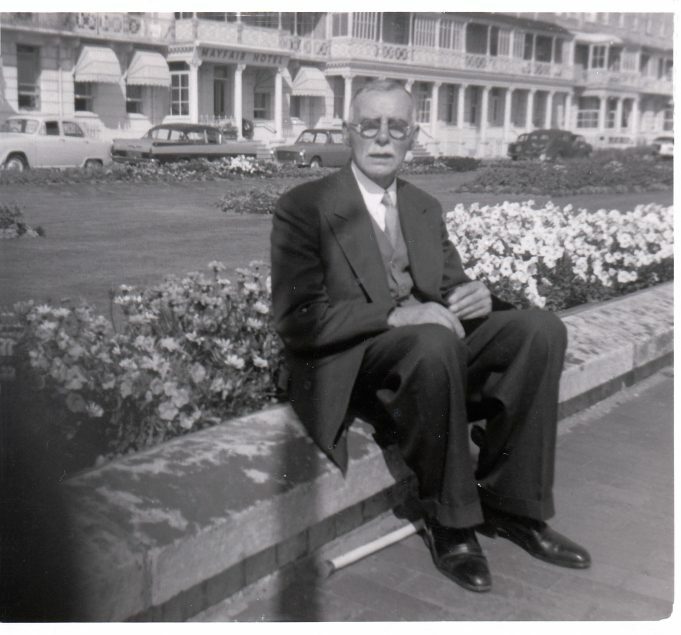 Sheila’s maternal grandfather Thomas James Hope was born in Walthamstow London and moved to Laindon in the early 1900’s. He became the Caretaker/ Verger at St. Nicholas Church in Laindon and also at Holy Cross Church Basildon in the 1930’s. 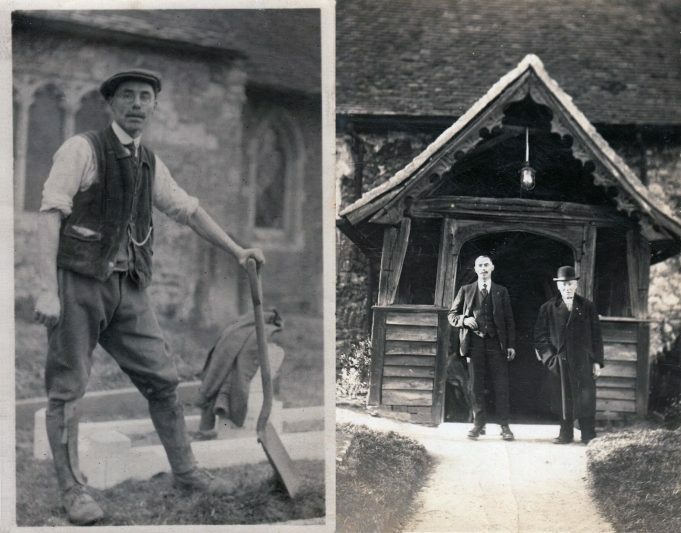 He also acted as caretaker at both churches and performed many duties such as digging graves and maintenance around both properties. 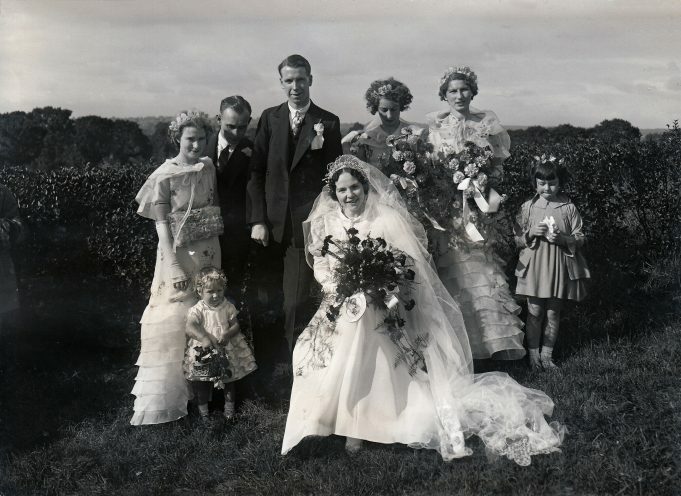 He was married to Lillian and had two daughters Florence and Lillian and they lived in “Church Bungalow” which was situated half way down the hill on which the church stands facing west. Rector Lake was the vicar at the church when Thomas was employed there and became good friends. 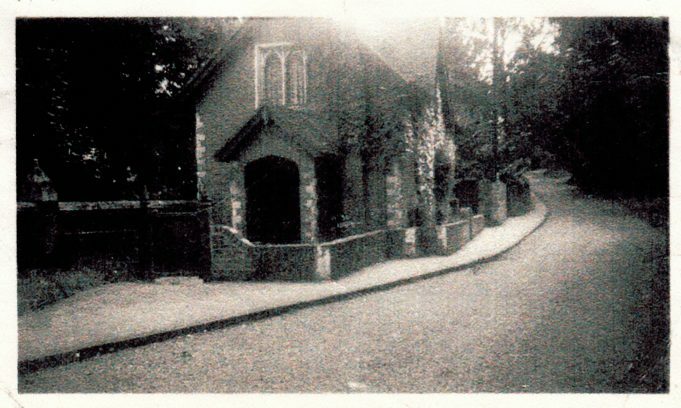 When Rector Lake moved to a new post at St. Johns Church in Loughton Thomas and Lillian went with him to act again as his Verger/ Warden at this new location and the couple lived in the church house belonging to the church authorities. 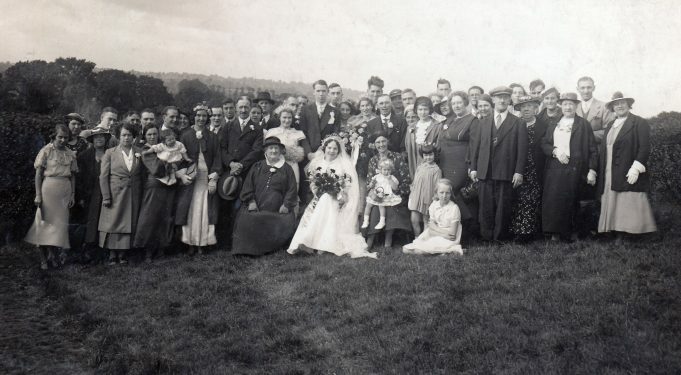 Sheila’s paternal grandparents John and Caroline Gregory had two children Albert and Stanley; they also came to Laindon from London, as they owned properties in the Laindon area. They all lived in a large property called “Elm Farm House” the front section of which was a shop called Elm Farm Stores. This was in the 1930’s -1950’s later the shop was locally known as ” Gregory’s Stores” and was situated in Basildon road on the east side of St. Nicolas Church. The shop was a general store selling every thing from sweets, cigarettes, groceries and vegetables (of more later). Caroline and John both ran the shop and Florence enjoyed growing her own vegetables in their large garden for their family and also to sell. Like most properties at that time in the area there was no main drainage so a cesspit was the alternative method of the disposal of waste. Apparently Caroline owned a stirrup pump and she was renowned for spraying her garden vegetables with the contents of the pit to help the garden produce flourish. The local folk always knew when the veg were receiving their daily watering!!!! 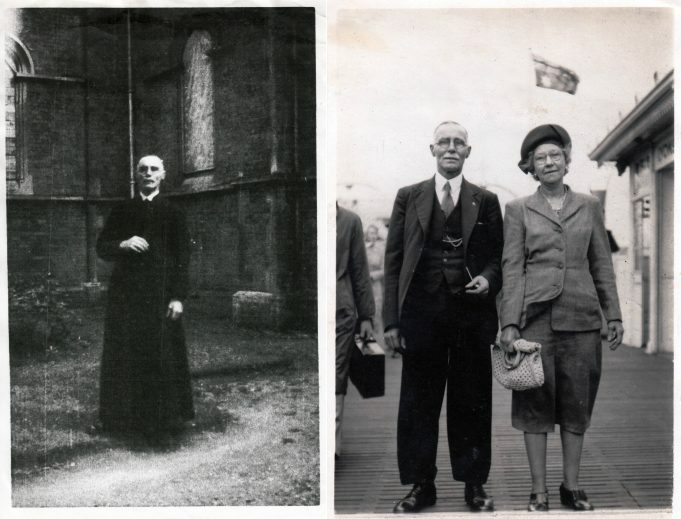 Albert Gregory married Florence Hope at St. Nicholas Church on 11 September 1937. 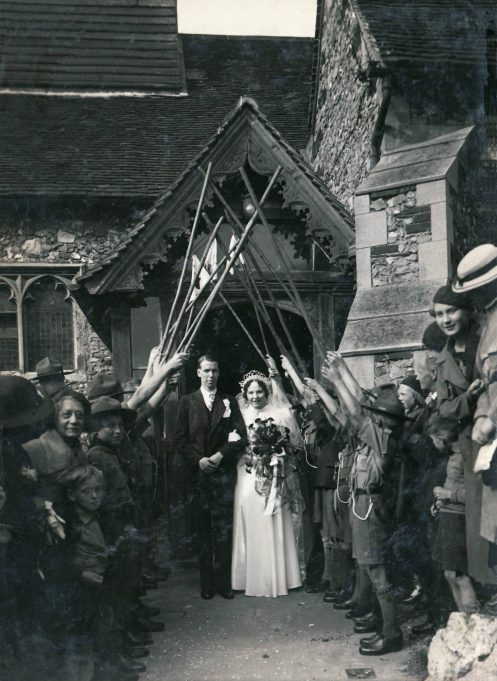 The new Mr & Mrs Gregory left under an arch formed by the staves of the Second Laindon Scouts of which the bridegroom was a former member. Albert and Florence had three daughters, Sheila Florence, Carol Lillian and Susan Christine. Soon after Susan was born Albert died aged 35 in January 1948 leaving Florence to bring up the girls alone. 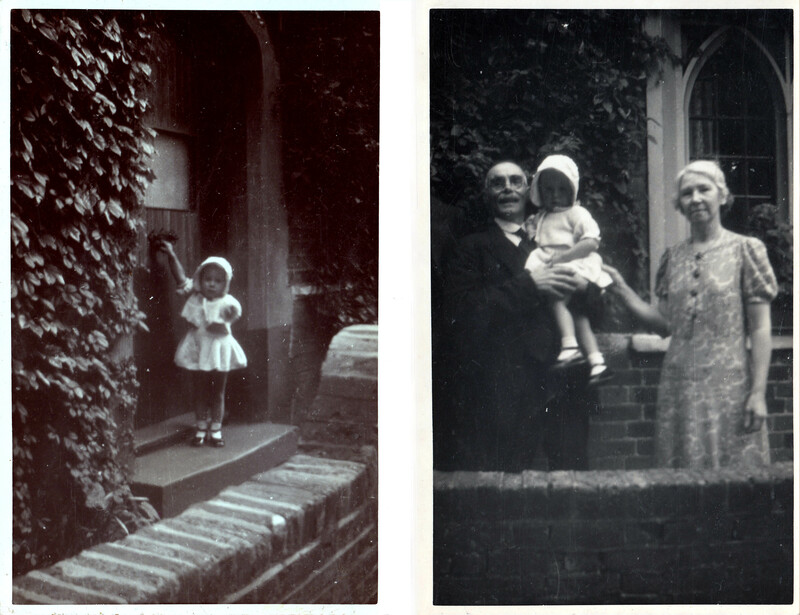 Sheila remembers when she was about 3 years old being in the garden with her grandfather. As he was putting in a row of plants she followed him gently and methodically pulling them out again. Bet she was really popular with the old gentleman. Another story from Sheila was that of her sister Carol. Young Carol went missing only to be found in their grandparents shop sitting surrounded by cigarettes she had liberated and breaking the contents into small pieces. The profits of the shop that week were presumably a little lower than expected. Sheila Gregory joined The St. Johns Ambulance Brigade in Laindon and went on to become a nurse. She married John Hardy in 1959 at Holy Cross Church Basildon where her grandfather used to be the Verger. The couple went on to have three sons and one daughter and still live in the area. John Peters asks if Elm Farm Stores (Gregory’s Stores) was one and the same the one run by the Fynn family. I suggest is was not as Ken Porter sent me a photograph of Laindon Park Post Office (Fynns shop) and there is little similarity between them. Also I seem to remember that while Fynns was on the northern side of Basildon Rd, there was a shop further east on the southern side which may have been Gregory’s. Another memory of the area was a dwelling adjacent to Fynns which in its front garden had a large pond close to the road that teemed with golden carp. This would probably only existed for 24 hours in today’s society. The message of Sheila Hardy clarifies my earlier memory where I believed it was Olive Hope who married Eric Barfield, when in fact it was a friend of the Hope family, Olive Hall and she was one of Sheila’s godparents. I knew the Barfield family well from the time they lived in School Lane. Eric the eldest son ran gym classes at the St.Nicholas hall together with a Fred Tallboys who owned a newsagents in School Lane, later known as Cooper’s Stores. The next eldest was Ron Barfield who was at one time “walking out” with my sister Ivy, which ended when she went into a sanatorium on the south coast and the war came along and Ron was drafted into the army, but was lost or killed with the fall of Singapore. 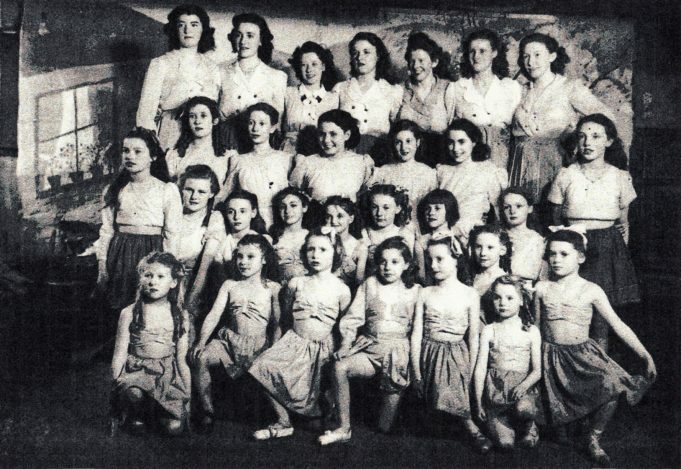 Then there was a sister Joyce who was a tall girl and a very good dancer and was at the Saturday night dances at the St.Nicholas, the selected partner of John Wagner, the history of whom is shown in the archives on the cracker factory pages. Joyce was a silver service waitress and also a ‘clippie’ on the buses. I believe she later married Sid Salmon, a local footballer. Then there was younger brother, Ivor, who worked in joinery and suffered an industrial accident losing a part of his hand. 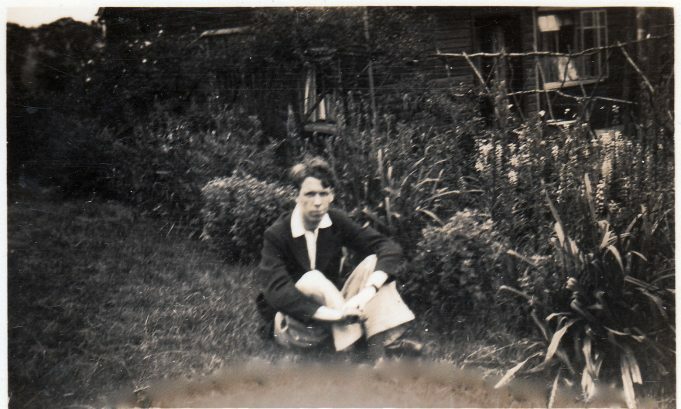 The Barfields had left School Lane at the end of the war, although Joyce still lived in the area and I do not know if there were any children of the marriages. Eric, our parents were friendly before they married I remember you and your sisters we used to visit your family. I live in Bourne Avenue and remember you going to Australia. Richard, we three girls all attended LHR. school you might remember Carol and Susan but I am eight years older than Susan, so I had left by the time you were there. Sheila, thanks for clearing that up. This means that Susan did attend LHR when I was there but I guess she was in Eric Pasco’s year. She would not therefore be in the big photos of 56 and 58. However, Carol must be in them so you will be able to look for her. Are you all in the Earletts photo by the way? Hello Sheila, Ever since your story appeared on the site the name Susan Gregory kept jumping out at me, I knew I knew her from somewhere. It has a last come back to me. When we were about 6 or 7 Susan and I were in the childrens ward at Billericay Hospital having our tonsils out along with another girl named Jennifer Sweetapple. Whilst in the hospital I think our mothers became quite friendly and we visited your place in Basildon Road. When I first returned to Laindon from Australia in 1976 I recall my Mum saying that Susan was married and living in Bourne Avenue, Laindon. My parents lived at 35 Bourne Ave. Am I correct about this? Something else has now got me looking at the 1956 photo, the fact that both Sheila and Carol Gregory went to LHR, and might both be in that picture. To my knowledge Susan did not attend LHR unless I was unaware of her being there with me (most unlikely). Fascinating search going on, spyglasses out. I have one little memory, coming out of Laindon Park School on a warm September ’57 afternoon and seeing Susan walking away up Basildon Road with her long ringlets hair swaying, me having to get on the old green Eastern National single decker waiting patiently to take me back to Nichol Road. I think my fellow passengers were Andy Darroch, Brian Archer and Philip Trew. Happy days, regards to all the Gregories. Hi Sheila, thank you for mentioning me to Susan, I am not surprised she cannot remember me as I was only in her class for three months September to December in 1957, a long time ago indeed. We were in Mr Stone’s class at the time and I remember Susan sitting behind me with some of the other girls including Valerie Newman who has written on this site. I had only moved down from Barking that summer and this was my first class in Laindon. However, I always remember a pretty girls face and that’s why she stands out so well on your photo. By the way I don’t remember Susan at Laindon High Road so I am guessing she may have passed exams and gone elsewhere to school? Kind Regards. Mr.Diment.Olive Hall was my mothers friend she married Eric Bardfield and they were my godparents. Mr.Haines my sister Susan said she cannot remember you but us three girls all went to the primary school. Many thanks, Sheila, for telling me about the Laindon History website. I am enjoying reading the various contributions and comments and have just read your own memories with interest. I particularly like the first photograph on your page, as that is just how I remember you and your family. Your Mum always seemed so cheerful and had a wonderful smile. I am trying to recall the Gregory’s Stores in Basildon Road. Was this the same shop that Geoffrey Fynn’s family ran, or was it a different shop further down the road? My memory is obviously not as good as I thought it was! I read with interest the account of Sheila Hardy in respect of the Hope family, but it has caused me some confusion. I well remember a Mr Hope who was churchwarden and caretaker at St Nicholas Church during the time of Reverend Lake but he lived in a house adjacent to the church hall. However, he had a daughter named Olive who married Eric Barfield from Church Rd. Also, the photo of Mr Hope strongly resembles the Mr Hope I knew. There would obviously be an answer to the differing reports. The Mr Hope I knew was circa 1935 yet I cannot see the connection. Further to my earlier comment, could the confusion I feel be due to a wrong christian name. Would the girl I called Olive actually be Lillian and did she marry Eric Barfield? I would like to add a story about Mr.Hope to which he never did find the answer. 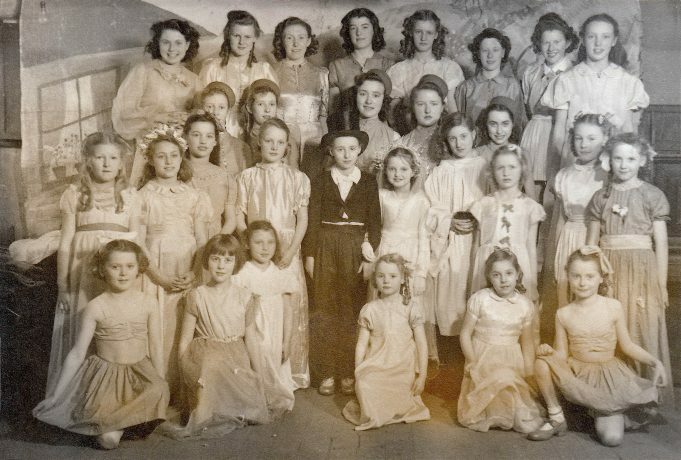 During the Saturday night dances at the church hall, alcohol was being smuggled in and Mr.Hope and another church warden Mr.Doe would stand guard at the entrance to check people coming in. Despite never catching anyone it still continued. The answer was that the hall had no indoor mens toilets but a corrugated sheeting lean to on the west side but only entered from within the hall. There was however a gap between the walls and the roof for air conditioning purposes and the local lads would creep down the side of the building and place bottles on the edge of the roof. Having passed the guardians of the entrance they would retrieve their bottles which during the tea interval would pour it into tea cups. It was never beer or spirits, but out of deference to the ladies was cocktails which apart from having no odour were relatively cheap to buy, between 25p and 33p by todays prices. However I never did see anyone drunk or misbehaving as a result. Mr.Hope never did discover how this happened. Further to my previous comment, which had me doubting my memories, in respect of Mr.Hope and his daughters. I believe my opinion that the girl I described as Olive was in fact Lilian and that a marriage to Eric Barfield took place was correct. 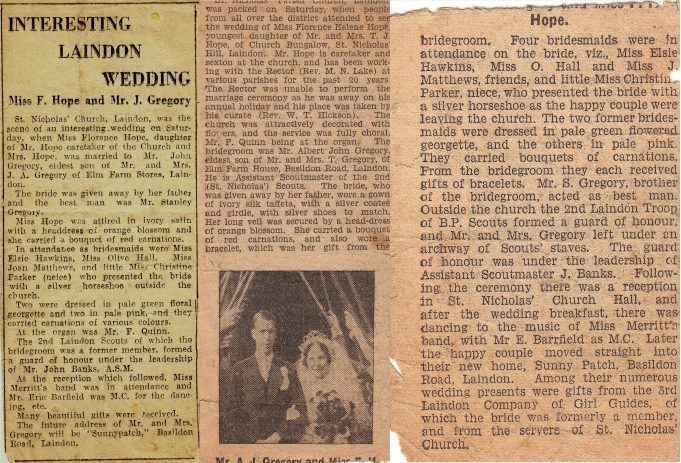 His name was never mentioned in the narrative but on reading the newspaper cutting in respect of Florence I noticed the MC at her wedding was a Mr.E.Barfield which gives some substantion to my comment. 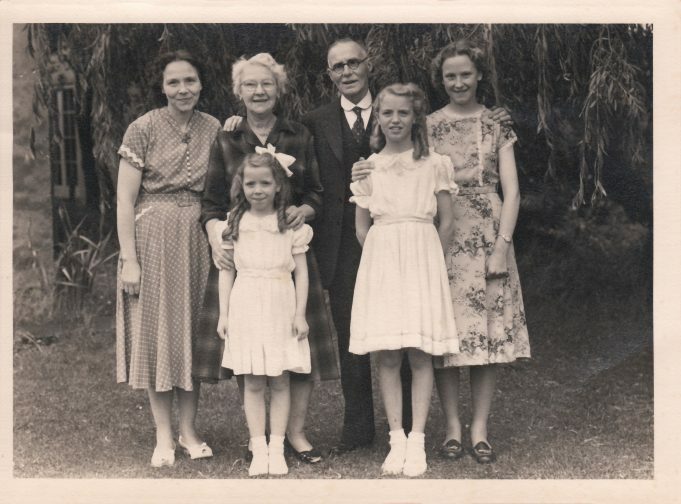 Sheila, I think I’ve just answered my own question by looking at your first photograph, thats definitely Susan Gregory as I remember her, standing in front of Grandparent, Lilian. What a pretty little girl, no wonder she’s still in my memory!! Sheila, I think I went to school with your sister, Susan Gregory. I was in Laindon Park School 1957-1958 for just that one year. Does this check out with your history above, I would like to know what happened to all the kids of that year.